Fantastic opportunity awaits with this custom 3 BR 2.5 BA brick wrap ranch full of unusual features. Home boasts a brick walled 58' x 18' courtyard, very large living & family rooms, floor to ceiling windows, hidden wet bar in LR, built in bookcase, window seats, large 27' x 27' heated garage, and large 20' x 16' storage barn. This is a perfect home for entertaining as the family and living rooms along with the garage all have sliding doors leading out to the courtyard. Home is structurally sound with newer roof and well-maintained mechanicals. Kitchen / baths dated but fully functional. Located on a cul-de-sac in a quiet neighborhood close to the downtown square and Danville schools. You need to see this home to understand how cool it is! Directions:US 36 / Rockville Rd through Danville to Spring St. North to Round Hill Rd. West /left to Round Hill Ct. Home on west / left side. SchoolsClick map icons below to view information for schools near 30 Round Hill Court Danville, IN 46122. 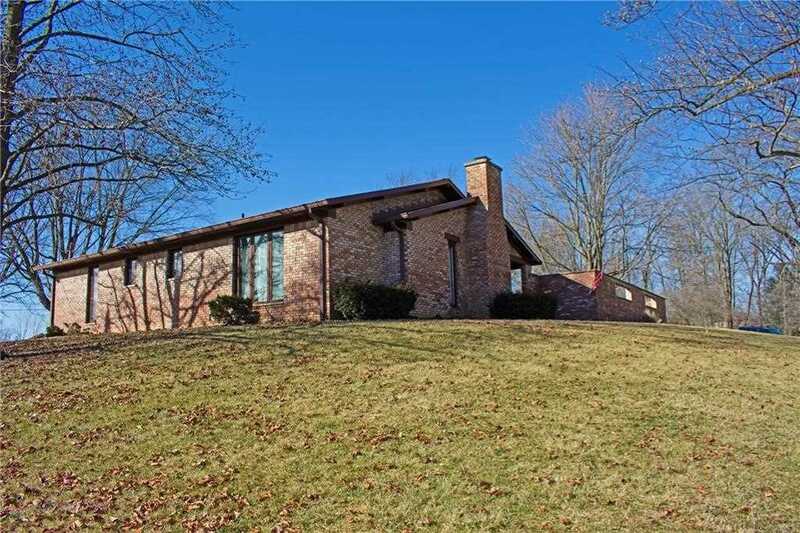 Home for sale at 30 Round Hill Court Danville, IN 46122. Description: The property at 30 Round Hill Court Danville, IN 46122 in Hendricks county with the BLC / MLS 21618355 is currently listed for $222,500 and has been on this site for 66 days. You are viewing the MIBOR listing details of the property for sale at 30 Round Hill Court Danville, IN 46122, which features 3 bedrooms and 3 bathrooms, and is approximately 2630 sq.ft. in size.